Will time tell? - Patent my French! Hot from the press comes a brand new decision of the Paris Cour d’appel which may leave many practitioners skeptical – if not utterly unhappy. Many thanks to Grégoire Desrousseaux for forwarding this important judgment! The statute of limitations in connection with patent nullity actions is a recurring topic. A few weeks ago on this blog, Matthieu Dhenne criticized the very notion of a limitation period for nullity claims. Am I just in time for a nullity suit? Not only does today’s ruling confirm once again that the general statute of limitations, as amended in 2008, does indeed apply to patent nullity claims. But it also contains a surprising finding concerning the starting point of the limitation period. The context is the following. Two individuals, Mr. and Mrs. Halgand, filed a French patent No. FR 2840634 in April 2003. The patent was granted in February 2005 and then assigned to a company called Matériaux Equipements Plastiques (MEP) in 2006. The technical field is the protection of purlins or rafters. Starting from February 2013, there were a number of exchanges between MEP and another company, Raccords et Plastiques Nicoll (Nicoll). According to MEP, Nicoll was exploiting a purlin protection system falling within the scope of their patent, without any authorization. Nicoll did not agree with these allegations. This finally led Nicoll to launch the first strike and file an action for declaratory judgment of non-infringement in front of the Paris Tribunal de grande instance (TGI). At the same time, Nicoll also claimed that the patent was invalid and requested its revocation. 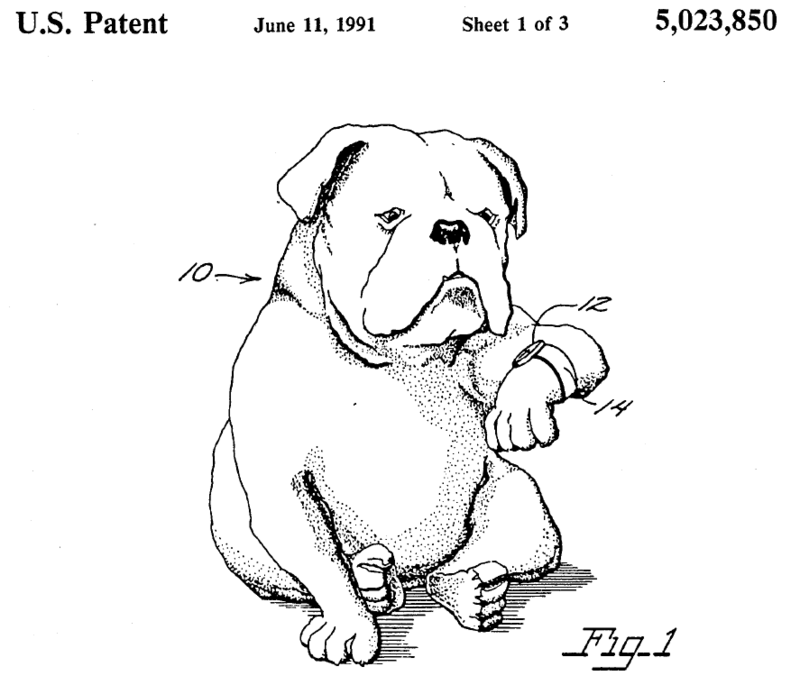 The original applicants of the patent were forced to intervene in the lawsuit as a result of the assignment’s guarantee. MEP counterclaimed for (inter alia) patent, copyright and trademark infringement. In November 2014, the TGI revoked claims 1 to 10 of the French patent and rejected MEP’s counterclaims. MEP and Mr. and Mrs. Halgand appealed, which leads us to the ruling issued by the Cour d’appel last Friday. Unlike the TGI, the Cour d’appel held that Nicoll’s nullity claim was time-barred and thus inadmissible. […] Only an in concreto appraisal of the point in time at which the nullity claimant effectively became aware of the right which is asserted against them can be made in order to determine the starting point of the limitation period. In this case, the starting point of the limitation period is the formal notice sent by [MEP]’s patent attorney […] on February 25, 2013. Therefore, the nullity action against the FR’634 patent contained in the complaint filed on October 4, 2013 is not time-barred. This first instance ruling was in keeping with a number of other recent decisions by the TGI, which all emphasized the necessity to assess the starting point of the limitation period on a case by case basis. The relevant date was consistently said to be that on which the claimant knew or should have known of the patent, in view of the specific facts of the case. See for instance B/E Aerospace Inc. & B/E Aerospace Systems GmbH v. Zodiac Aerotechnics, reported here as well as Actelion v. Icos Corporation, reported there. Article 2224 of the Code civil provides for an in concreto appraisal for the limitation period, by setting the starting point of the limitation period to the day on which the owner of a right knew or should have known the facts making it possible for them to assert this right. Even though the publication of a patent application does not create rights for the proprietor, the publication of the patent is an acknowledgment of its rights. It cannot be denied that the publication of a patent is a way for third parties to know their rights, and that a professional who works in the same area as the patent proprietor and who puts on the market a new product must comply with rights which have been made public, without possibly relying on unawareness. Moreover, Nicoll, like MEP, works in a very specialized area and has business relationships with Mr. Halgand, who presented a PVC dressing product for purlins and rafters. On that date, the patent application […] had not yet been filed and Nicoll refused to cooperate on the development of a common project in October 2002, letting Mr. Halgand know that they would get in touch with him if they changed their minds. But [Nicoll] does not deny that [Mr. Halgand] then provided prototypes, so that [Nicoll] was perfectly aware of Mr. Halgand’s work and of his plan to file a patent, although Mr. and Mrs. Halgand only filed the patent in suit in 2003, which was granted in 2005. Even if MEP sent a formal notice of cease and desist, they did not start infringement proceedings. It is Nicoll which, denying any act of infringement, initiated proceedings for a declaratory judgment of non-infringement and for nullity of the Halgand patent. Since [Nicoll] was disturbed in the manufacture and marketing of its products due to this formal notice which they believed was ill-founded, it was their right to make the disturbance stop and they had standing to request a declaratory judgment. On the other hand, they could not extend this right by starting a nullity action in relation with a patent which was duly published, past the limitation deadline which must be computed from the publication. But they may rely on this ground as an exception defense within the infringement action against them. Now, MEP filed a claim for damages in court due to infringement and requested that the court should state that its patent FR 2840634 is valid, and that there are [acts of] copyright infringement, trademark infringement and disparagement, free-riding and misleading advertising. As a consequence, the rights of MEP should be examined first, and Nicoll is admissible to rely on a nullity exception. In summary, according to the court, the starting point for the limitation period is the patent grant in 2005, and not the cease and desist letter of 2013. Let’s look at the silver lining first: if it is indeed a general rule that all nullity suits have to be filed within 5 years from the date of grant, then at least this rule is easier to apply than the one created by the TGI. This is because the latter requires to have a detailed look at all relevant facts. In Actelion for instance, the court conducted a very complex assessment of scientific articles, annual reports of the company, patent applications and marketing authorizations. In this respect, the approach adopted in today’s ruling increases legal certainty and predictability. Now, the big grey cloud: it just does not make sense that a party should automatically be time-barred from filing a nullity suit possibly months or years before actually contemplating a commercial exploitation to which the patent at stake could be a possible obstacle. The consequences could be potentially disastrous for generic drug companies willing to clear the way prior to launching a new product. The Cour d’appel clearly stated that patent nullity can always be argued as a defense to an infringement claim, without any time-bar (except that the court in such a case will not officially revoke the patent). By the way, in the rest of today’s judgment, the court did examine the validity of the patent and actually came to a different conclusion from the TGI, holding that the claims are valid. But the availability of a nullity defense is not going to help generic companies (and others) willing to preemptively knock down a patent before launching a product, precisely in order to avoid launching at risk. Indeed, in such a scenario, it is my understanding that the action would be fully inadmissible if time-barred. There is still room for some doubt as to whether the Cour d’appel has just set a general rule here, the starting point always being the date of the patent grant, at least for professionals working in a specialized area; or whether the court’s finding should be viewed as limited to the specific facts of the case. We should bear in mind in this connection that the nullity plaintiff had already been in contact with the patent applicants even before the grant of the patent – and this may have been a critical point for the court. If the latter view were correct, then this decision would certainly be less at odds with the TGI’s usual approach. It would simply mean that the Cour d’appel had a different appraisal of the facts from the TGI but not that the very principles applied by the first instance judges are wrong. What else? Well, Nicoll was held not to have infringed the patent, nor to have committed acts of copyright infringement, trademark infringement, free-riding, and the like, and MEP was found liable for disparagement, like in first instance. What next? Well, time will tell – or not. Will the TGI now implement this ruling and adopt a new approach for computing the limitation period or keep the current one? Will some desperately needed clarification come from the Cour de cassation? Will the lawmaker correct the unfortunate consequences of the 2008 amendment of the general statute of limitations in patent law? I would at least not bet on the latter option anytime soon. CASE REFERENCE: Cour d’appel de Paris, pôle 5 chambre 2, September 22, 2017, Mr. and Mrs. Halgand & SAS Matériaux Equipements Plastiques v. SAS Raccords et Plastiques Nicoll, RG No. 14/25130. Thanks for informing us on this decision and on this not yet fully “established” point of law. The decision reported is preposterous (and very badly drafted). It is time for a call to the Cour de Cassation. Some hints below for the future audacious challengers. At first, in the case reported, the defendant avoided a fundamental issue: is the limitation period under ordinary Law applicable to the action for patent revocation? The request has not been made before the Court of Appeal. Yet, as I already pointed out on this blog, I do not think that article 2224 of the French Civil Code – which established the limitation period under ordinary law – is applicable to the action for patent revocation. In any event, this first comment is very important for the follow-up: the Cour de cassation has no jurisdiction for a question of law that has not been raised before the Court of Appeal. Then, the only question that remains is the starting point of the limitation period. Here, the ruling of the Court of Appeal is flawed. In fact, Article 2224 provides that “the owner of a right knew or should have known the facts making it possible for them to assert this right”. We infer from this text that the starting point of the limitation depends on a case by case assessment (i.e. “in concreto rule”). The Court of Appeal reminds this “in concreto rule”. However, at the same time the Court states that a professional cannot ignore a patent grant in his field. In other words: the starting point should be assessed case by case, but if I am a professional I am supposed to know all the patents granted in my field. Thus, contrary to what is said before, the “in concreto rule” has not been applied. The “in concreto rule” requires to find at which date the plaintiff was aware of the ground for revocation. Yet, the patent grant “is not necessarily” consistent with that date (TGI Paris, December 18, 2015, Mylan vs. Hoffman Laroche). Thus, in our case, according to the Paris Tribunal de Grande Instance, the starting point of the limitation was linked to the contemplation of a commercial exploitation to which the patent at stake could be a potential obstacle (TGI Paris, November 6, 2014). Rather, if we say that every professional is aware of every patent granted in his field, we establish a rule, but an “in abstracto rule”. The rule will be applicable to all the future cases equally. At the end of the day it remains us one question for the Cour de cassation: does the Court of Appeal applied the “in concreto rule” properly according to article 2224 of the Civil Code? In any case, we could also keep hope and call for an act of resistance from the Paris Tribunal de Grande Instance concerning the assessment of the starting point. I see how disappointing this decision can be. Disappointing because it again conveys the idea France is not a market place for litigation “clearing the way”. Also because the grant date is an administrative date, not the date from which patent rights exist. Yes it is a publication and third parties are made aware of it -but the sole time relevant is the one month to appeal the decision to the appeal court. I believe however in no case is it possible to state that the grant date is the publication of the existence of the rights that none should ignore. Because rights stem from the filing, it is the publication of the application that fulfils that duty (or the serving of a copy of the non-published application onto the defendant). Not the grant date. One decision in the “old good days” even quoted the publication date as the starting point. I believe the question is not whether the 2224 rule should apply to patents or not; that debate is beyond us. Some may regret it but we need to be pragmatic to some extent and have empathy for our judges. Their task is difficult: sometimes law is difficult to apply, but their job is to apply it, not change it. rule. The in concreto approach is one good legal standard indeed; applying it will be difficult -it is up to the lawyers to defend their cases with the right arguments. The grant date choice was indeed an easy choice, but the background of the case may have played a role. You understand that the alleged infringer remains safe and that the two physical bodies are not forced to refund what they received as payment. Maybe just one salomon judgement. Not necessarily bad. Turning to the starting point itself, I immediately see a number of practical issues. The claimant may not even have an interest in requesting the invalidity 5 years after grant: no interest, no application of statute of limitation simply because you cannot be barred if you could not act at the relevant time. For example: generic companies bother about patent protection when there is a decent drug on the market, not before. And marketing a drug takes place quite some time after the patent filing and in most cases well after the patent grant (and by the way that’s why the law-maker invented the SPC…). So a generic company will certainly not even look into it before years have elapsed since grant publication. They would be barred ? Unrealistic to the extreme. The claimant may also be a corporate body that did not even exist at the grant date; for example JVs are sometimes formed to exploit a given technology arising from joint development between two major players: each individually may be barred but how can the later formed JV be barred ? How can I be prevented from acting if I was not even born at the relevant date ? Unrealistic to the extreme again. Now with respect to a limitation, how to handle? Is the grant of the limitation the new date ? What a claimant is looking for is the invalidity of the patent as limited which obviously did not exist at the patent grant date. Assuming now a limitation arising from more than a mere combination of dependent claims: the invalidity argument may well only arise because of the limitation itself, e.g. for added matter that takes place because of the limitation. Obviously I cannot be aware of the problem that arose because of the limitation at the time of the patent grant date. And what if the patentee files a limitation as a response to an invalidity attack that took place more than 5 years after grant date ? Does this change anything ? Happy to read any remarks on this. Another question for SPC specialists: how do you run, under article 15(1)(c) of the regulation, an invalidity action against a SPC granted more than 5 years after the patent grant date ? A SPC can be filed more than 5 years after the grant date, merely because the marketing authorization is granted more than 5 years after patent grant date. I cannot obviously challenge the SPC before it is filed. So the day I become aware of the SPC I am barred from challenging its nullity based on the patent nullity. It is however foreseen in the regulation that : « […] or, after the basic patent has expired, grounds for revocation exist which would have justified such revocation or limitation » ; for SPC thus invalidity of the patent can be argued even after it has expired. Or maybe not in France…. Pingback: One step forward, two steps back - Patent my French! Next Next post: Beware, drafters!